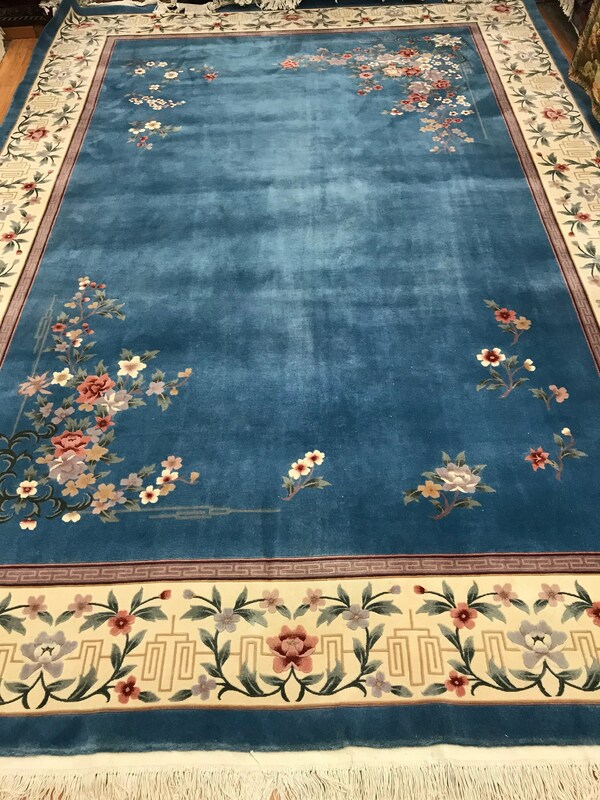 This magnificent Oriental rug is a 9'10" x 14' Chinese Art Deco. 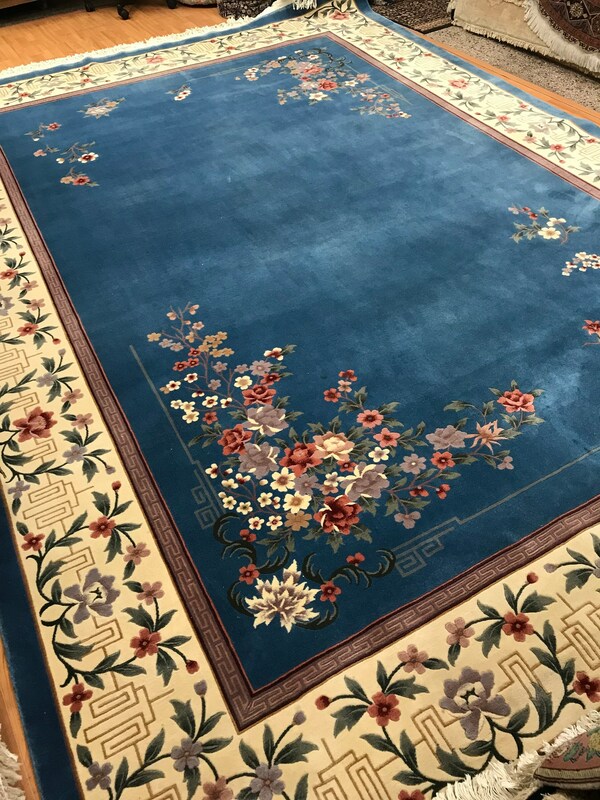 This very fine Chinese rug is hand knotted at 120 Line quality, has a beautiful traditional Chinese design and is made with a 100% wool. 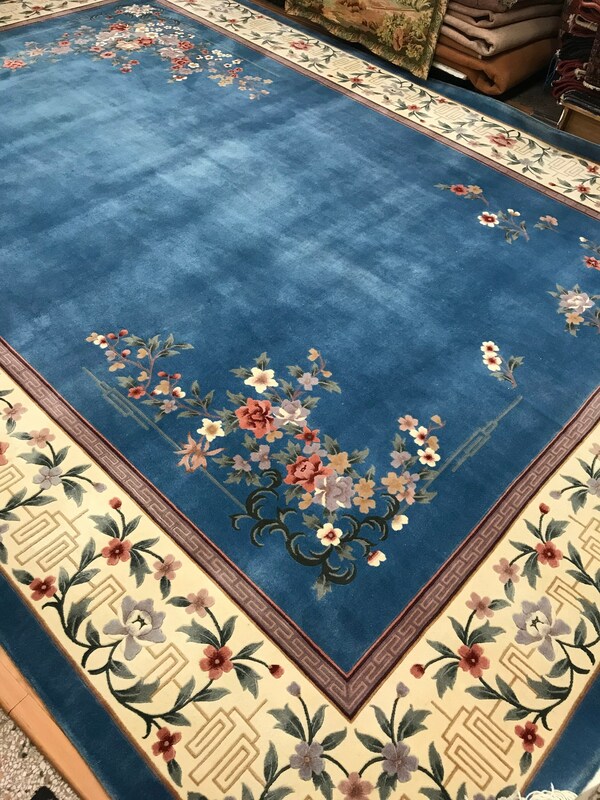 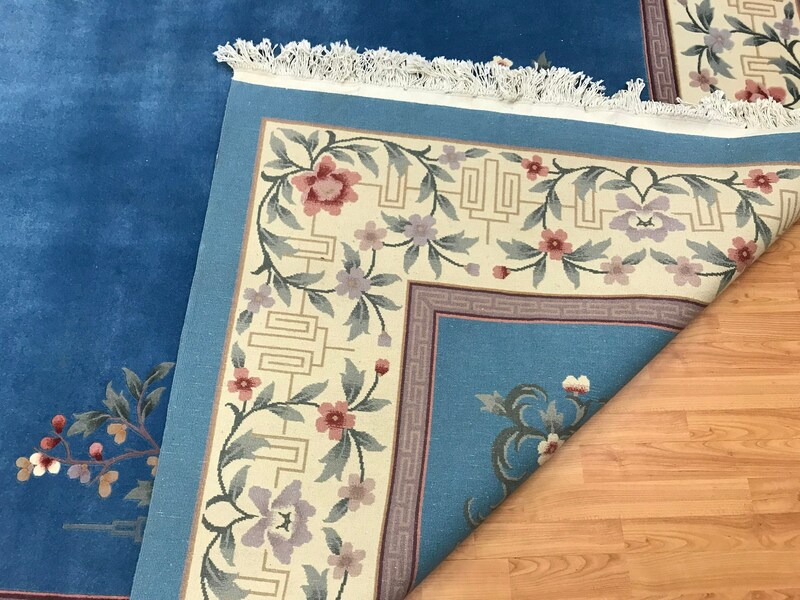 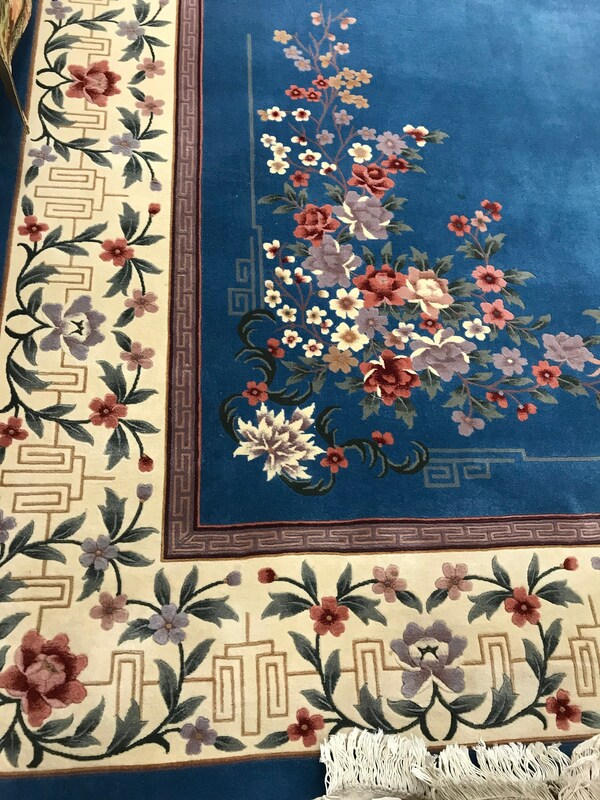 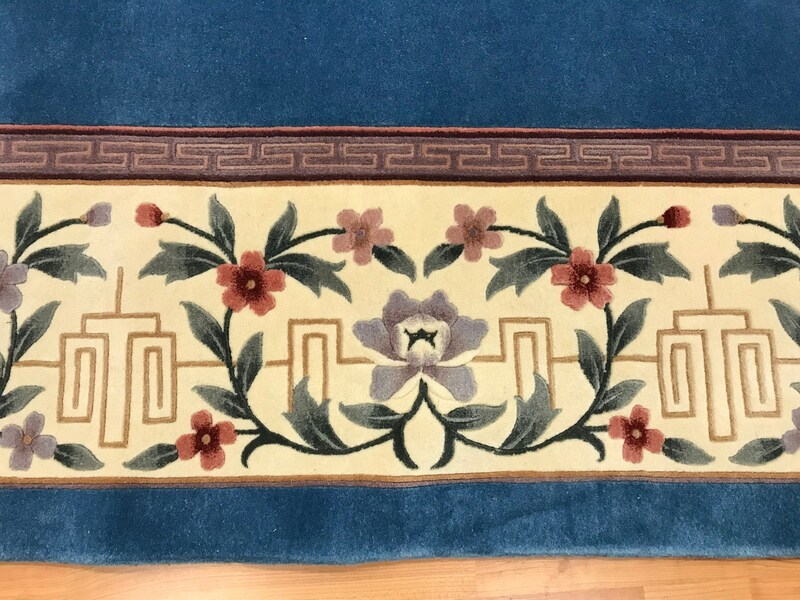 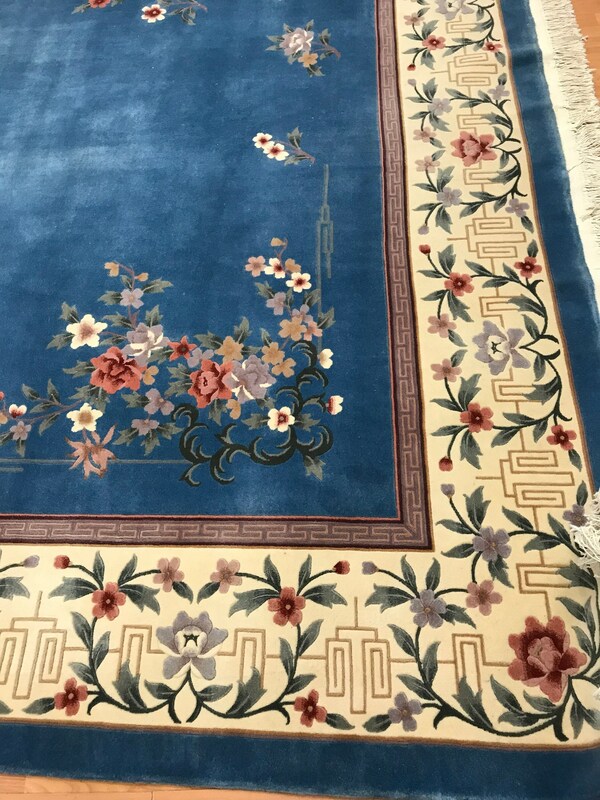 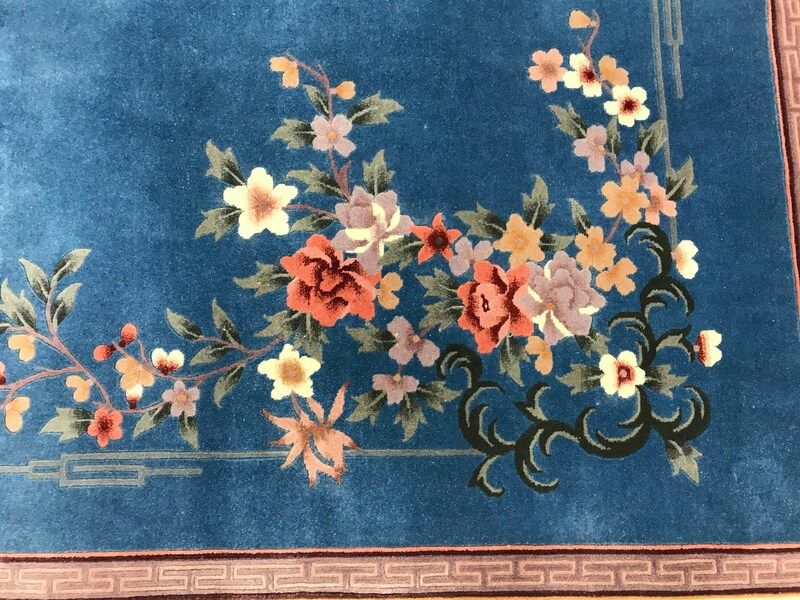 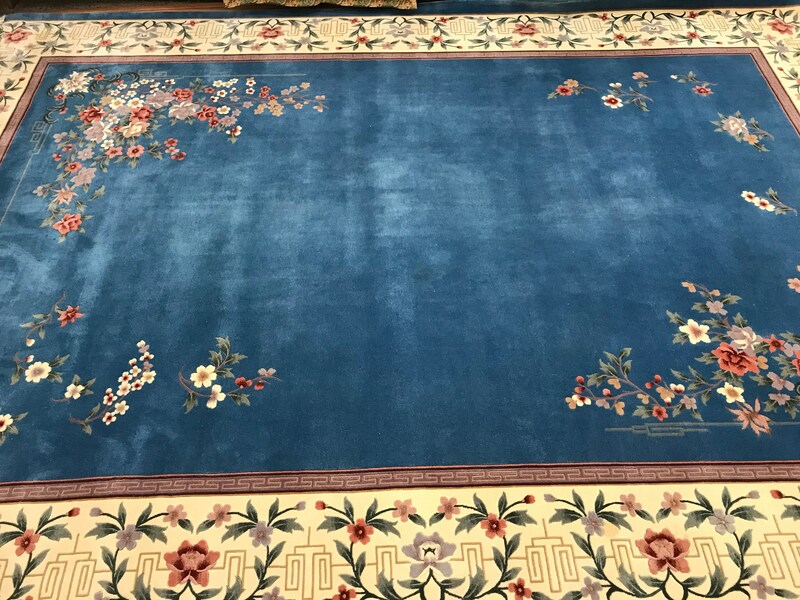 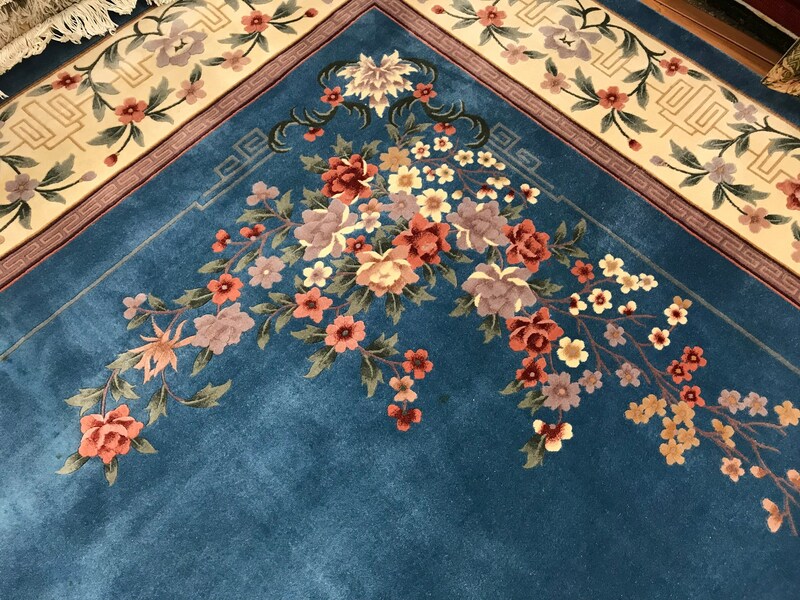 This Chinese Art Deco rug is in good condition and was recently professionally hand washed.